The 9th Edition of the Masonry Designers? 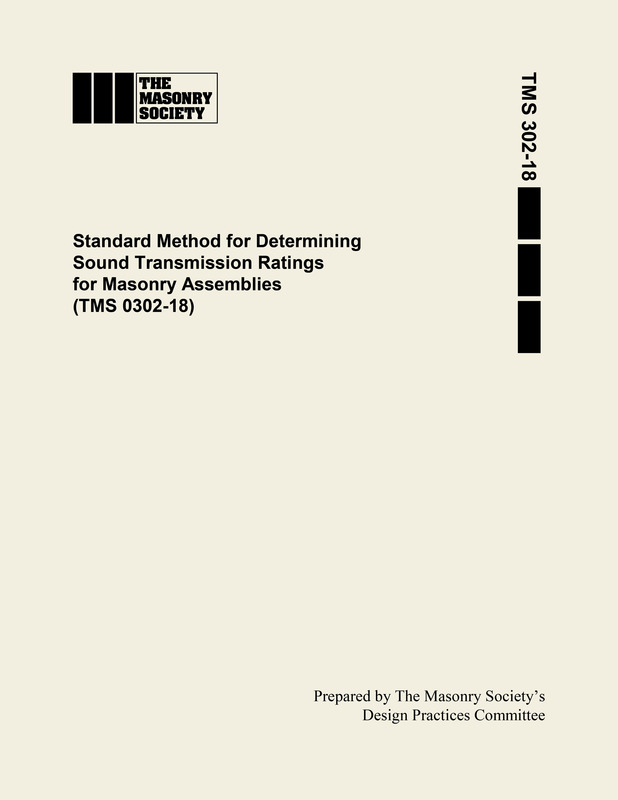 Guide, designated as the MDG-2016 so that readers know it is based on the 2016 TMS 402 and TMS 602 has been completely updated. Numerous additions and changes have been made, including a new Chapter on Reinforcement and Connectors, discussion and examples on new TMS 402-16 provisions, information related to masonry design requirements in the 2018 International Building Code (IBC), and updates related to new loading requirements in ASCE 7-16. 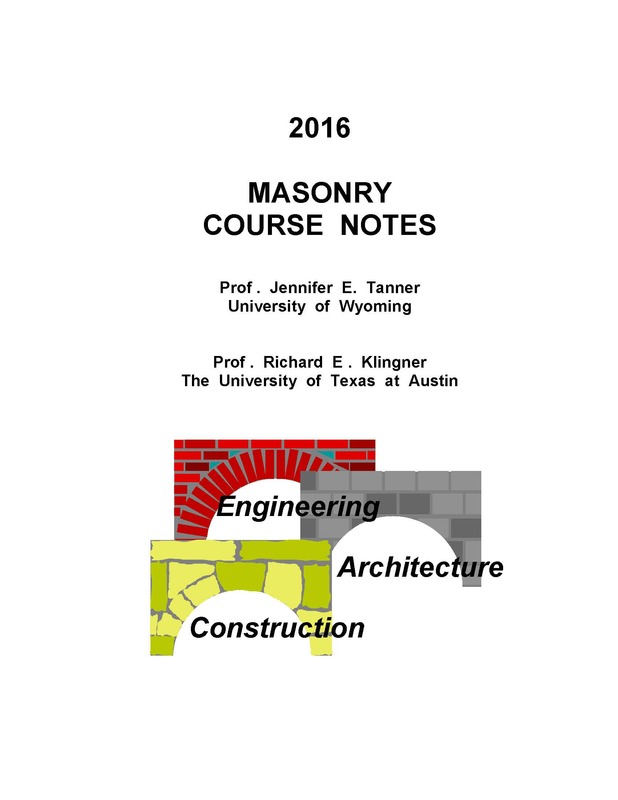 Topics covered in the 21 chapters of the MDG-2016 include masonry materials, testing, quality assurance, quality control, construction methods, structural design, seismic design, and using the TMS 402/602 with model Building Codes. A companion website has been created to provide users with additional resources including the complete MDG-2016 for reference (print protected, read only format), Excel spreadsheets used in some of the design examples and select technical notes on clay brick and concrete masonry that are often used by designers are included on this website. 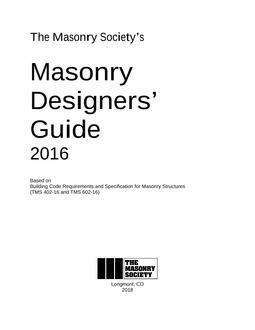 The MDG has become one of the most popular design guides for masonry due to its extensive examples and practical coverage of masonry design issues.